A few images from our site visit last week.. So far on site, all the windows & doors have been installed. 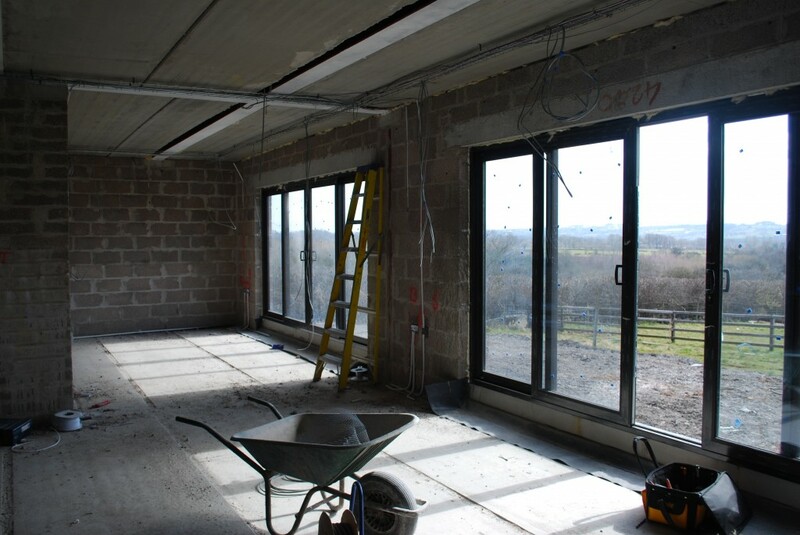 First photo is of the external elevations – the ground floor sliding doors lead to an open plan kitchen and dining area with a snug room to the right hand side. 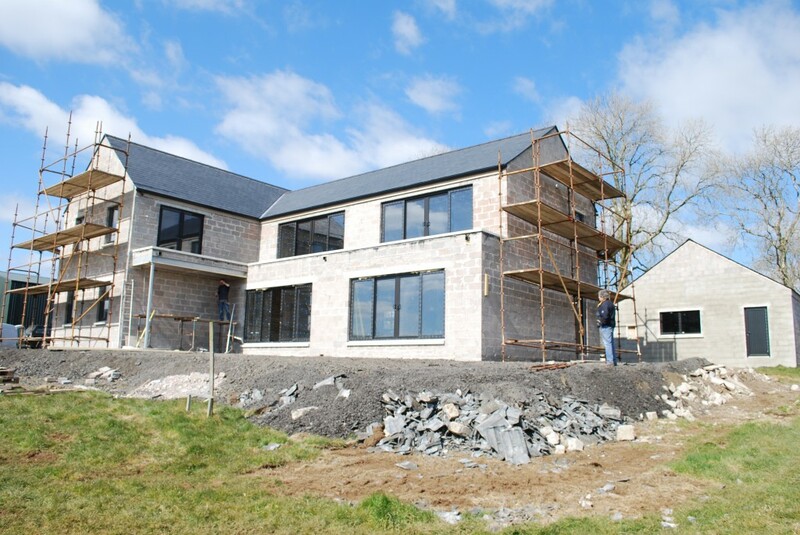 Go to our Facebook page for more images of how the Dunadry House is progressing on site.